This is part 2 of a series looking to help people find the best Linux distribution for them. In the first part of the series, I looked at some of the best Linux Desktop Environments so that you could eliminate distributions which only use desktops that won’t work for you and your setup. The title of this post says it all really. Here are the 5 distributions I would turn to if I wanted to use Linux and I didn’t want to be too hassled setting things up and they just work. Notice that the title includes the word “modern”. Click here for the “5 easiest to use Linux distributions for older computers”. This one is all about the modern desktops, the whizzy effects and the shiny interfaces. Before I start, here is the criteria that I think is important when deciding on the easiest to use distros. Linux Mint is number 1 on this list and in the Distrowatch rankings for a very good reason. Linux Mint uses the same installer as Ubuntu and therefore it is very easy to install. If you can follow simple instructions such as being able to choose your language, where you want to install Linux Mint and where you are located on the map then you will be up and running within about 10 to 15 minutes. 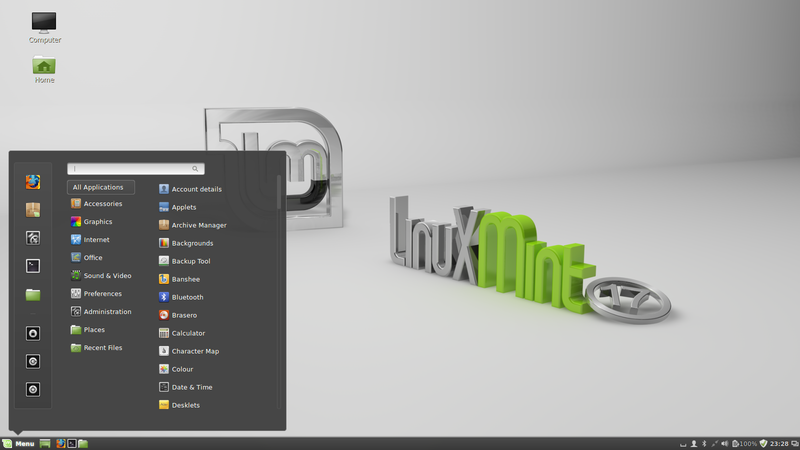 Linux Mint is ahead of Ubuntu in this list for two reasons. In the first instance the Cinnamon desktop is likely to be more familiar to more people than Unity and secondly because Linux Mint has the ability to play Flash and MP3s straight away. For general purpose use, the desktop works the way you would expect it to with system icons in the bottom right, a menu in the bottom left and quick launch icons available to open a browser and file manager. The software available in Linux Mint is perfect for the average user with the LibreOffice suite, GIMP image editor, Banshee audio player and VLC video player. The main thing that is missing is STEAM but this can be installed via the package manager. The Mint Software Centre behaves more intuitively than the Ubuntu Software Centre as well. Ubuntu is the Linux distribution that is most well known amongst people outside the Linux community. Due to the Unity interface, Ubuntu has something of the Marmite effect whereby you either love it or hate it. Installing Ubuntu is easy and the tool used is far better than the Windows equivalent (but then again ordinary users never have to install Windows). The desktop is actually incredibly easy to use. If you can type the name of the program you want to run then you are 90% of the way to understanding Unity. Ubuntu has a great set of software repositories and provides a stable base for many other Linux distributions. Setup wise you have to install the restricted extras package to get Flash, MP3s and fonts (although there is an option during the installation which aims to achieve this with limited success). Support for Ubuntu is very easy to find with support forums and IRC chat rooms available. The software centre is still a little bit of a let down. PCLinuxOS is the only non Debian based Linux distribution on this list. 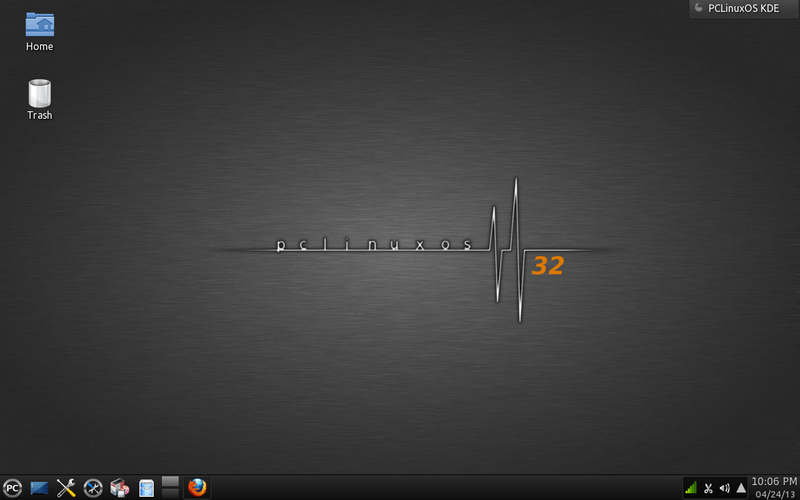 PCLinuxOS is available for a number of different desktop environments but the way it utilises KDE is excellent. The installer is incredibly straight forward and as with Linux Mint, the desktop will be familiar to most users with the panel, menu and icon layout. PCLinuxOS has more applications than Linux Mint and Ubuntu with games, graphics applications, the LibreOffice office suite and audio applications. Dropbox is also included. The graphical package manager for PCLinuxOS is Synaptic and whilst it might not be as pretty as the “Software Centre” it is much easier to find what you are looking for. There is no easier transition for Windows users to Linux than Zorin OS, that is the intention anyway. Zorin OS looks and behaves in many ways just like Windows and you can choose which Windows version you want it to look like, whether that is Windows XP or Windows 7. The installer for Zorin is the same as the Ubuntu installer and so it is very easy to install and it comes with all multimedia codecs pre-installed. Zorin OS comes with a good selection of software including the LibreOffice office suite, VLC media player, Banshee audio player and the GIMP image editor. PlayOnLinux is installed which makes it possible to run Windows software (although not every application works). Zorin has a look and theme changer and also has some fairly nice desktop effects. Zorin is number 4 on this list because there are a few glitches, it uses the software centre and there isn’t as much support for Zorin as there is for Ubuntu, Linux Mint and PCLinuxOS. Number 5 on this list was difficult to choose because it meant leaving other distributions out. I went for Netrunner because having recently used it I found it to be very intuitive and easy to use. Netrunner takes a Kubuntu base and subtly improves it by including the multimedia codecs and some useful software that Kubuntu doesn’t have by default. The installer is the same as the Kubuntu installer. The Kubuntu installer is a little bit better than the Ubuntu one because it lists all the stages down the left hand side making it more linear and you can see how many steps you have left before the installation is complete. Netrunner has a really good selection of software and it includes games, video editors and screencasting tools on top of the usual office suites and internet tools. Skype is also included. The package manager for Netrunner is called MUON and it is much better than the Ubuntu Software Centre. These are the 5 Linux distributions that I would recommend to new Linux users and to people who just want to use their computer as a computer and who aren’t that interested in getting too deep and dirty with their operating system. This list could easily have been the 10 easiest to use Linux distributions but 5 is a good number because it shows new users just where to begin yet still provides a limited amount of choice. As I mentioned in the introduction these Linux distributions work better when installed on modern computers. If you have an older computer click here. Remember that you can subscribe to this blog via email by entering your details on the right hand side. Also if you want to get in touch, I am on twitter via the handle @dailylinuxuser. As per usual,Prof Gary, a super helpful post. ManyThanks! I agree those are most newbie friendly but IMO Arch IS easier to use thanks to pacman 🙂 No doubt that for someone new to the wonderful world of Linux Mint and Xubuntu is what I reccomend but if you have used Linux for a while Arch or Arch based is much easier to use than any apt distro. Don't be ridiculous, Anonymous. Arch is not easy to use. It is a pita to install and a pita to configure. Easy means a next-next-finish installation, and configuration using a GUI environmant, and a user-friendly community. Arch misses all of these things. Don't get me wrong: Arch can be wonderful if you know what you are doing, but that is not the focus here. Agree about Arch not being for noobs. It's for the tweaker who wants (and gets, by default) more control over their OS. I often find that the best distro for a new user is the one that their helpful friends/mentor uses. It's no use if you pick a friendly distro that your friends don't use. When you have problems you are on your own and as good as the forums are it's a lot more use to have a tame export who can help out in exchange for tea and cakes… (or beer or whatever). I think if you are a new user you should pick one of the more popular main stream distros as you are more likely to see your questions repeated and answered when you search in Google. Sorry I haven't tried that one yet. You forgot chakra linux , very easy to use. Chakra is another of those that I haven't tried yet. I have been reviewing distributions for years now and I have still barely skimmed the surface. Then, perhaps, in all fairness, you should list all the systems you HAVE used and TESTED and then provide the ammended statement: Of the following systems I have tried (enumerated), I find the following five to be the "easiest" to install/utilize. Possibly. I would imagine if you read a magazine article listing the same information as above you would be also getting an opinion from somebody who hasn't tried every distribution either (it is virtually impossible). I would say that having read up on Chakra it is unlikely that it would have made this list. The website has a habit of disappearing and the support team is smallish when compared to the distributions listed above. Thoughts on Elementary OS? Easy to use. 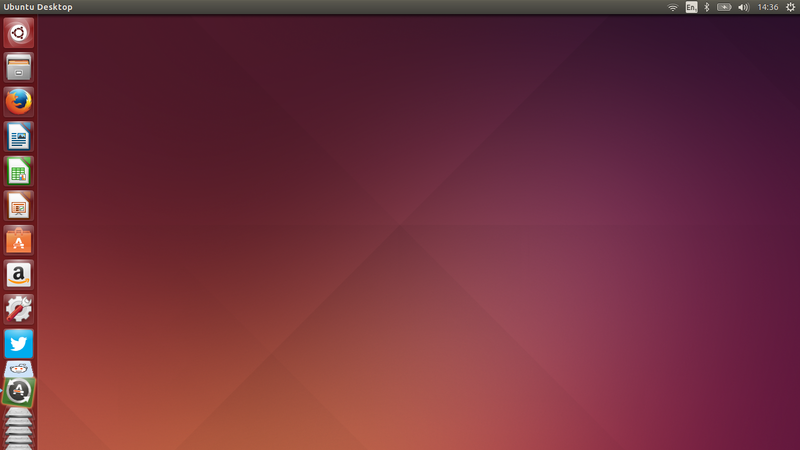 Based on Ubuntu. Everything working out of the box. Elementary didn't make it due to the software element. I have put Elementary in the 5 easiest to use Linux distributions for older hardware which comes out tomorrow. After 8 yrs of Linux use I'd have to agree with your top five selection although for the Novice Sect I believe Zorin and Ubuntu positions on the list should be swapped. The Unity Interface is just a bit annoying and might just put newbies off of Linux before they get the hang of things. As a side note . . . one of the handiest tutorials I've come across for Distro hopping which allows saving of files and folders by setting up your partitions correctly was published by LinuxBSDos.com and titled "How to Dual-Boot Linux Mint Cinnamon/Mate and Window7". It works amazingly well for upgrading to newer releases as well as changing to different Distros. It's NOT a "Substitute" for backing up your data, but it's handy as all heck. My Aunt and Uncle' (Both in their 80's) have an older computer with XP. Before visiting this past summer, a computer "expert" did some "work" on their computer for $300.00 and convinced them their OS was perfect to use. I live about 3,000 miles from them but my esp told me to bring a copy of Mint 13 Cinnamon LTS with me. At the time Mint 17 wasn't out. I only had 4 days with them. I installed Mint, showed them how to update and navigate the system the first day. I left them to their own devices and had only one complaint. The Hot Corner that displays all desks. After changing that I haven't heard one complaint about the OS. Now they have an older machine that is good until 2017. Oh, btw, my Aunt complained about having to pay the $300.00 and now the work she had done was gone. I showed them how to boot into their old OS and now she calls the new OS a new "program". 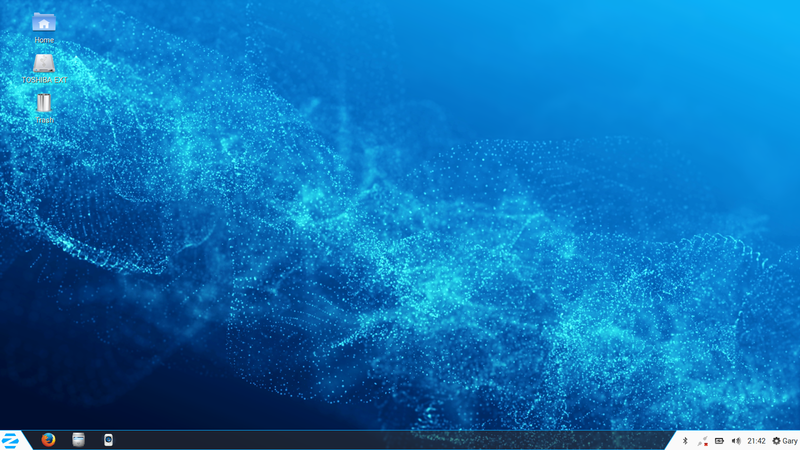 I've recently installed Deepin 2014 and my word is that a sleek and user friendly distro. While I love Ubuntu- been with them since 2008, I find the dash to be a cluttered mess. 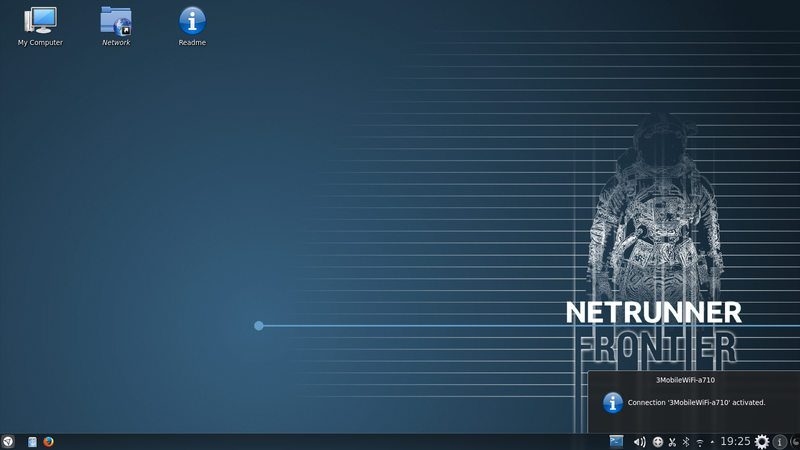 I also found mint / kde to look a bit dated, and gnome shell was all over the place. For me Deepin looks modern, but is still simple and intuitive. This is what MS should have done with windows 8. Distro watch is not a real ranking of popularity. You can check other popular sources, like, by example, Google Plus communities. I enjoyed your article! I have tried Linux Mint and Debian, but not the others. I found my home Linux home to be Manjaro with the XFCE desktop environment. I've tried other distro's with XFCE, and have not overly enjoyed it. However, the function, look, and ease of Manjaro and XFCE make it solid and fun. The rolling release updates are nice too. Additionally, not only does one have access to the Manjaro community repos, they also have access to the AUR repos. This saves a lot of time in ppa hunting/adding and leaves a s lightly less margin of error for new users. Very handy. I have tried so many, Ubuntu, Lubunto, Xbunto, LXLE, Zorin,Mint, and Linix Lite. I have installed and reinstalled. A nice looking, easy to use desktop that preforms and can run Play on Linux for games etc. is a must. Also ease of hooking up my printers etc. After trying all of the above, I have settled for Zorin OS 9 for my fasted desktop, LXLE for my other desktop, and Linux Lite for my older laptop (I am writing this using Linix Lite now)… All are very good! For an older laptop, Linux Lite rocks! I found out about it by mistake and for me it is amazing. This laptop is a lenovo R60, likely eight years old and is so fast running Linux Lite. All the above are great. I agree Linux Lite is awesome on older machines. I have it installed on a P4 and an atom netbook. brought new life to those devices. My other machines have Xbuntu which is a really great distro–faster than Ubuntu. And I also have Zorin on my newer machine. Oh almost forgot one machine has Elementary OS and love that one. I think Mageia is easy to install along windows 7, because it recognize the windows partition, so you can choose if you want to keep windows or delete it. Also, Opensuse can recognize windows and make a partition of the disc for you and install linux along with windows. But Ubuntu and Mint just give you the option of delete windows or the Option for Advance Users, so I have to make by myself the swap, boot, root and home partitions, I waste my time with these last distros. It is the same for Chakra, Kaos and Manjaro.distros. I still use windows for a couple of statistical programs unfortunately. Does any of you old timers know if there is a Linux os which makes it easy to download and install third party, off of the internet, programs and software? Let's be honest, unless this problem with installation of software is resolved not too many people will want to move away from Windows.People just don't want to deal with commands.etc.etc. This is the only set back to Linux widespread use. Installing applications from the web is dangerous which is why Linux doesn't work this way and also why Apple doesn't work that way. You don't need to learn commands to download Linux software. You just need to learn the graphical tools which in the case of the Ubuntu software centre or equivalent is much like choosing programs from download sites anyway. Excellent, one of the most comprehensive Linux reviews I read in a long time. Good job Gary! One thing I note is how hard it seems for some people to understand the point here. And not just among those who replied, it's apparently a well-spread mindset. And I refer to those who view users looking for an easy Linux version as simply beginners. And this happens for example in DistroWatch.com, where Mint, for instance, is classified as a beginners version. And beginners, same as noobs, "Novice Sect", etc., expresses the notion that these users are simply beginning a process, beginning to climb a ladder that will lead them to accumulate more and more knowledge of the system. And that is exactly what I mean by missing the point. Because for many users, or I should rather say the majority, or actually, the vast majority of the users, people that are not developers or programers, that do not love playing around with computers, or maybe would like to, but don't have time for it, or prefer to spend their time on something else, or for whatever other reason won't ever be anything else than "beginners", or advanced beginners, if you want, in the world of Linux, for them, the point is not to identify an easy version of Linux to begin their journey into this complex world with, but identifying a version of Linux to spend at most a couple of hours installing and setting up, so that they can double click cute icons of programs with interfaces that do all the commands for them. And I sense some savyy users look down at these new users and like to think of them, or just can't think of them in any other way, than being simply "past versions" of themselves. At the same time promoting the notion that not wanting to really learn much about Linux is wrong, or lazy or in any other way bad, when, for most people, it certainly is not. So, this is certainly not the sole, likely not even the main reason why only 1.5% or so of personal computers have Linux, but, in my humble opinion, this should be factored in. Thank you, that is me. I have used windows for 2+ decades. I don't think it's superior in any way, but I just know how to use it. I invested that time because it was part of my job; I couldn't/wouldn't have spent that much of my own time. To me, a computer is simply a tool to get things done, not an end of itself. A while back I installed ubuntu on an old computer to access the internet in my family room. At one point, somehow I clicked something that made my menu bar on the left of the screen disappear. Some types of web content wouldn't display and I couldn't quickly figure out how to make it work. And once an update failed for lack of hard disk space. I searched and found the solution, which was to go to the command line and type a bunch of cryptic commands to clean off what I think was previous version downloads. Anyhow, it all was taking too much time, so I ended up running a 30' kvm cable from the windows machine in the other room. Thank you for this article. I might try one of your suggestions above to see if I can use it with minimal time input. Sorry to say, I am a noobie and will no doubt always be a noobie. Deepin Linux is also a great Linux for beginner and easy to use Linux Distro. Please try to add this. Zorin OS is the best (I am using the Pro distribution as my standard OS), then comes the Mint, and then the rest.